Spiritual Nutrition: Is a Vegan/Vegetarian diet the highest for my spiritual evolution? This is a controversial question, one that has been debated heavily year after year, however, much mis-information persists especially among spiritually minded people. I offer this excerpt about my personal experience to anyone seeking more clarity and direction. Click Here to read the full article. According to many spiritual circles, killing of any sentient creatures is wrong and consuming their flesh lowers your energetic frequency because 1) the consciousness of animals is lower than humans, and 2) you consume their fearful vibrations during slaughter. They maintain that if you want to raise your frequency and move out of density consciousness, you must abstain from lower vibratory food and the karmic consequences of taking a life for nourishment. While it makes logical sense to refrain from consuming meat and animal products for someone seeking to rise above the density of mass consciousness to further their spiritual evolution, it has serious negative effects on the physical body (many I have personally experienced and even to this day, I am still working to unwind its effects on my biochemistry). Most importantly, nearly all people, even the most highly advanced spiritual seekers and healers, still live in this world and are exposed to the density and mundane activities of everyday life. The vegan diet may be appropriate for the monastic who lives in sacred space 24-7 and can afford to have their chakras open at all times. However, for those of us who have not renounced normal life and escaped to a mountain retreat- who go to work, the grocery store, raise children, visit family and friends- it is not safe to walk around with your chakras wide open to whatever energies and entities are in your surrounding environment. This controversial and important article explores the pros and cons of raw foods and juices. Please read it with an open mind. Many people advocate eating raw food because animals eat raw food and stay healthy, or because raw foods contain a little more of some nutrients. However, the subject is more complex. I was once a strong advocate of eating raw food, but over 30 years of experience with thousands of clients, I have learned differently. We are not like the animals. We think more, we worry, we go to work and do not sleep enough, and most people’s digestion is weak, unlike that of the animals. Vegetarian animals, in particular, often have very complex or multiple stomachs, such as cows and goats, in order to digest raw vegetables. Human beings lack these. Stress is also a major factor for most people today. One of my teachers, Bernard Jensen, DC, ND, said “It is hard to drive the Los Angeles freeways and be a vegetarian”. Well, the same statement can be made about living on raw food and driving the freeways. Finally, and definitely most important, in my clinical experience of over 30 years, everyone who eats more than a little raw food daily eventually demineralizes their body. This is sad, and I wish it were not true. I love the taste and texture of some raw salad vegetables and other raw foods as much as anyone. However, I don’t eat them, and I do not recommend much raw food, except for raw dairy products. 1. Raw dairy products from reputable sources are definitely better than pasteurized and homogenized dairy products. In fact, pasteurized and homogenized dairy products such as cheese, milk and yogurt and mainly of poor quality and should be avoided. Also, cooking raw milk and cheese should be avoided, as well. Cooking the fats in cheese and milk destroys most of their benefits. 2. 10-12 ounces of carrot juice only OR some green juice daily. 3. Overcooking all food should be avoided, especially meats and eggs. This does a lot of damage to the food. Let us discuss this subject in more detail. 1. Cleanliness. This is one of the most important and serious problem today with raw foods. It is particularly a problem in restaurants and with all meats, fish, eggs and seafood. Do not eat these raw! They contain bacteria, parasites and other microorganisms and many are killed by cooking. While some advocate eating raw meat, eggs and fish, all may contain harmful parasites and bacteria. Raw dairy products from reputable sources are generally very healthful, however. Certified dairy products. You will notice I did not say raw certified dairy products. This is because I do not believe that all raw dairy needs to be certified. Certified raw dairy is a federal government program in the United States, and perhaps in other nations. It is very costly for the dairy farmers, so small dairy operations simply cannot afford it. This does not mean their products are not the best, and they are often better than the certified dairies because they are smaller farms. 2. Low mineral absorption. While raw food may provide more of a few vitamins such as vitamin C, human beings cannot digest vegetable fiber very well. Human beings simply lack the enzymes to digest cellulose and the others. This is a fact, even if one does not like it. Taking a cellulase enzyme might help a little, but will not overcome this problem. Some vegetable-eating animals have three or four stomachs and regurgitate the food several times to help them digest raw food. Many people also have weak digestion in addition. Many nutrients are locked within the starch matrix of vegetables and fruits. These are unavailable to most people if eaten raw, as raw starches are very difficult to digest. Cooking breaks down the starch and cellulose and other fibers, releasing the nutrients. 3. Raw vegetables and fruits take much more time to eat correctly, as much more chewing is required with raw food. This is a practical matter. You will simply not have the time and energy to get enough phyto-nutrients if you live on raw foods. That is our experience, no matter what anyone claims to the contrary. Vegetable-eating animals, in particular, spend most of the day “grazing” in order to obtain enough nutrition. This is not practical or possible for most human beings. 4. Raw fruits and vegetables are extremely “yin”. Yin and yang is an ancient Taoist, Chinese and Macrobiotic concept that is quite subtle. It is described in a separate article entitled Yin and Yang Healing on the Center for Development website. Yin means cold, expanded and not as concentrated. Cooking tends to make food much more ‘yang’ because one adds heat to the food. A severe problem today is all of our bodies are already too yin. This is due mainly to radiation toxicity, poor quality food, toxic chemicals, toxic metals and electromagnetic stress, among other factors. Adding more yin energy is therefore quite harmful, even if the food itself is of very good quality. This problem is relatively recent, and only occurred in the past 50 years or so. Older books, including even some of Weston Price’s work and many others, suggested more raw animal protein, for example, and they were correct! However, things have changed drastically in the past 50 years due to ionizing radiation in the environment, and planetary contamination with toxic metals everywhere. For this reason, raw food is no longer nearly as healthful as it once was. It may produce certain positive changes in the body, but over time, it unbalances the body severely due to its more yin quality. Also, note that the system I use to evaluate the yin and yang qualities of foods is Macrobiotics, and not the older Chinese method. This is quite controversial as well, but I find the Macrobiotic method of determining yin and yang foods and food qualities to be more accurate today. 5. Cooking concentrates some foods, allowing one to eat much more of the food. A good example is spinach, for example, and other leafy greens. These and most foods “cook down”, allowing one to eat more of them without getting full. This is very helpful for everyone today, as everyone is very low in vital minerals and hundreds of other phyto-nutrients found in many foods. 6. Raw foods are irritating for the digestive tract. Raw food is much more irritating to the digestive tract. Fruit and all sweets are the worst, in our experience. Another irritating raw concoction are the poor food combinations found in almost all “green drinks”, smoothies, and other similar drinks. Most people today have damaged digestive tracts, and raw foods tend to hinder or prevent full healing of the digestive tract. Exception. An important exception is raw dairy products. These are far less irritating than pasteurized or cooked dairy for most people, unless one has an allergy to them. If that is the case, a nutritional balancing program that excludes most raw foods will usually heal the intestines and then one can tolerate raw dairy products well. 7. Raw food fills up the stomach, reducing the amount of other food that one can eat. This may sound like a silly reason to avoid raw foods. However, the bodies today are so nutrient-deficient that filling your stomach with large salads, for example, is not healthful at all. One does not obtain enough minerals from salads, and there is little room left for other more nutrient-dense foods. Many who want to lose weight healthfully live on salads. I maintain this is a serious mistake. Live on mainly cooked vegetables with a little animal protein, very little whole grains, no wheat products and no sugars, and the weight falls off rapidly. 8. Raw foods are generally lower in etheric energy. This is a very subtle topic that is less important, ultimately. 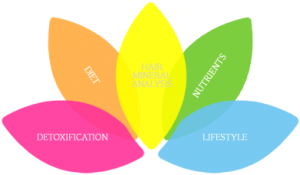 It is not about nutrition in the usual sense. However, fresh food and correctly cooked food has a higher level of a particular type of energy called etheric energy. An exception is meat and eggs, which have more of it when they are raw or lightly cooked. Etheric energy is not necessary for regular nutrition, but it does add quality to the food. This is one reason to eat very fresh food if you can find it. Older food and spoiled food has much less of this energy. Cooking fruits, vegetables and grains actually increases the etheric energy content of these foods a little. This may seem unusual, but it is quite important for some people. Also, eating raw meat, raw eggs and even too much raw dairy seems to unbalance the body. This also has something to do with this subtle quality of foods, and is why I recommend cooking meat and eggs, and limiting all dairy products somewhat. 9. Raw food must be “warmed up” in the stomach, unnecessarily using up energy. This is related to the yin quality of raw foods. It just takes extra energy to consume it. This is a less important reason for avoiding most raw food, although it is important for people who are ill and whose “digestive fire” is low to begin with. AREN’T MOST VITAMINS AND MINERALS DAMAGED BY COOKING YOUR FOOD? At one time, I was an advocate of Natural Hygiene, which recommends eating mostly raw food and publishes a lot of literature on the subject. I am very familiar with the rationales for eating raw foods. However, since then I have learned more and shifted my views about raw foods. The damage to food that occurs due to cooking depends greatly on how the food is cooked, and for how long. Here is a brief summary of the main damage that can occur in food due to most cooking methods. Protein. The structure or shape of proteins is changed by cooking, and it tends to make some protein less digestible such as egg white, meat protein, milk protein and others. For this reason, only cook eggs, and meat lightly, and eat most dairy products in the raw state. However, the amino acids themselves are not damaged by cooking. Fats and Oils. Fatty acids, sometimes referred to as vitamin F, are damaged by most cooking. This is why I suggest eating as much dairy products raw as possible, as this is generally safe. Meats and other fat-containing foods should be cooked lightly, at least, however, for safety reasons, and not overcooked and dry. Butter, olive oil, coconut and palm oil are much more stable when cooked than are other vegetable oils. Meat fat is often more stable as it is more saturated and therefore less affected by cooking at low temperatures. High temperature frying, however, can change all fats and oils into harmful products. On the other hand, higher temperature cooking such as stir-frying is fast, and this preserves many nutrients, which is why it is used in the Orient, in particular. Steaming is also gentle and does less damage. Starches. Uncooked and even most fermented starches found in grains, cereals and vegetables are not able to be digested well at all by human beings. Avoid granolas, trail mixes with raw oats, muesli cereals and others. Starches are not damaged by cooking at all, and should be cooked until they are soft. Sugars. I suggest avoiding all sugars in the diet today for many reasons. Read articles such as Fruit-Eating and Sugar Addiction on the Center for Development website for more on this topic. Fruit can be cooked, but I would avoid fruit and all sugars in all forms at all times for the best health today. This has to do with its yin quality and its higher sugar content and lower etheric energy content in most cases. Minerals are not affected by cooking. In fact, they are often made far more bioavailable by cooking because the cooking breaks down fiber in the food so that the minerals contained in the food can be absorbed much more easily. This is the main reason for cooking vegetables and some starches, for example. Vitamins. The vitamins most damaged by cooking are C and E. Cooking for about 10 minutes begins to destroy vitamin C, but plenty remains for about half an hour. Vitamin E is destroyed in about 20 minutes or a little more, depending on the temperature of cooking and the way the food is cut up, at times. However, stir-frying for under ten minutes can preserve most vitamins C and E.
Enzymes. Man people advocate eating raw foods to obtain the “food enzymes” they contain. My experience is that this is not important. It is true that all foods contain certain enzymes that are damaged or destroyed by most cooking. Gentle steaming preserves a few of them. However, food enzymes are not the same as the digestive enzymes that are required to digest your food. It is not true that foods contain the enzymes needed to digest the food. Your body, not the food, must supply the bulk of the enzymes needed to digest the food. This is the important point. Juicing with only 10-12 ounces of carrot and a little green juice each day is recommended in nutritional balancing science. An alternative is to have one or two ounces of wheat grass juice, which is an excellent source of some nutrients. However, most people need mostly the carrot juice, so I would only suggest wheat grass juice once or twice a week, at most, if you wish. More juicing than this is highly detrimental in most cases as it is too yin, too sugary and upsets the digestive tract in many people. While juices have many benefits, they have these drawbacks that causes me to want to limit them. Benefits of juicing are that it concentrates the vitamins, minerals and other phyto-nutrients by eliminating the fiber, and it allows one to consume a lot of nutrients quickly and easily. Unfortunately, juicing also has many of the problems of raw foods. These are described below. 1. Cleanliness. This is the same as with other raw foods. For example, never have carrot juice from a juice bar unless you are sure the carrots and other ingredients are thoroughly washed in very clean water and soap. Also, juicing machines must be washed well after every use, as it can harbor molds and bacteria. Otherwise, you could easily pick up parasites, bacteria or worse from a glass of even very fresh juice. Packaged or store-bought juice can have the same problems, and can become moldy easily if not consumed in a few days at the most. 2. Very, very yin. Juices are extremely yin products, even more so than other raw foods. The food is fragmented and more watery, and this tends to make it a lot more yin. Fruit juices are even more yin than vegetable juices due to their sugar content, and this is one reason to avoid all of them. A little goji berry juice or other berry juice may be okay once in a while, say once a month, but not more often as it is very yin. It is simply not needed in our experience, although it can be nutritious. This is an aspect of nutritional balancing that is not well understood, but quite important if one is to heal at the deepest level. Very nutritious products may need to be avoided. This may seem stupid or needless, but I find it works. 3. Very low in etheric energy. This is essentially the same as the problem with raw foods. 4. Too much is very upsetting to the digestion, especially when taken with food. Some people drink a lot of vegetable or fruit juice. It is very high in sugar and overloads the system with certain nutrients. Therefore always limit the amount and do not add sweeteners or fruit to vegetable juices. 5. Juices can concentrate toxic substances found in fruits and vegetables. This is often a hidden problem with juicing today, even when organic vegetables are used. It is hard to overcome. For example, pesticides may be concentrated in juices. Fiber in foods helps prevent absorption of some of these chemicals. To help prevent this, use only organic carrots and other vegetables for juicing. 6. Juices with high sugar content, including even carrot juice to a degree, can upset the blood sugar level. Be careful with juicing if your blood sugar is unstable. Ideally, carrot or green juice should be taken without other food for about 15 minutes on either side of it for best absorption. Ideally, swish the juice in your mouth to help you absorb some of it in your mouth. If your blood sugar is unstable, drink half and leave the other half in the refrigerator and drink it later in the day. This is not ideal, either, because fresh is best. However, it may avoid upsetting your blood sugar too much if this is a problem for you. The only foods that I suggest people eat raw is certified or good quality raw dairy products and some other oils such as olive, flaxseed, and hempseed oils. Raw dairy products are among the best sources of omega-3 fatty acids, calcium, other minerals and other nutrients. They are also quite safe, not too yin and needed today by most people. They include raw and preferably organic milk (up to 6 ounces per day only), raw cheeses, yogurts, kefir, cream or butter. Animal fats and proteins should be cooked minimally to preserve most of the goodness of the fats in the meat. Pasteurization. The milk industry, which often sells unclean milk that is ‘fixed’ by pasteurizing it, lobbied heavily to eliminate the competition of the raw dairies throughout the world. Today, certification of dairies is costly and small farmers may not be able to afford it. For this reason, I recommend all raw dairy products, as I have not heard of any problems with these raw dairy products, even when the farm is not certified by the government. A few raw nuts or some nut butter is also okay, though it is very yin. At least most nuts are clean. Avoid peanuts in all forms as they are often moldy. A much better way to consume all nuts or seeds is in the form of nut or seed butters. These are just much easier to digest for most people. Almonds and cashews are best eaten toasted, as it makes them more yang. (All cashews are toasted to some degree to remove a poison, and this is fine). Sprouting seeds is also a good way to eat them in moderation. One to three cooked vegetables should be the major part of at least two meals each day. Steaming, baking, stir-frying, or roasting or broiling are best. Do not overcook vegetables, but they should not be crunchy. Eggs are best eaten soft with the yolks runny. The yolk is a fat and fats are best eaten raw or very lightly cooked. Also, hard boiling an egg makes the protein very difficult to digest as well. Good ways to cook eggs are poaching, soft boiling, soft-scrambled or even fried over easy but not overcooked so the egg is rubbery. Meats should be lightly cooked, just enough to kill all surface bacteria and parasites, and cooked through enough to kill most germs in the meat itself. Do not overcook meats. None need to be cooked on a stove top more than 10-30 minutes or in an oven more than about 2 hours. A problem with crock pots is it is easy to overcook food, though otherwise crock pots are excellent. Add the meat near the end, or take out the meat when it is cooked. Whole grains such as rice, millet, oats, rye, barley and quinoa should be cooked thoroughly so they are soft and easily eaten. They may also be sprouted and eaten as vegetables in a few cases. Avoid all wheat products and all refined carbohydrates. To this basically cooked regimen, add 10-12 ounces of carrot juice, with perhaps a few greens added, and no more than this. In restaurants. I do not recommend eating any raw food in most restaurants. Most is not fresh, and it may not be washed well, either. In America, you can safely drink carrot juice from a health food store or most juice bars. I would not do this in Mexico, however, or some other nations. Bottled fresh juices are usually cleaner than most juice bars, if the juice is produced under healthful conditions. Unfortunately, however, it may be pasteurized to preserve it. This is not as bad as pasteurized milk, because carrot juice does not contain much fat, but it not ideal. Fermented foods are similar to raw foods in some ways. They are very yin, unclean in some cases, and somewhat toxic in many cases. For these reasons, I do not recommend them at all, except for some yogurt, kefir, miso and maybe a little of one or two others. I am well aware of their benefits, and that researchers such as Weston Price and others whom I respect recommended them. For more on this topic, read Fermented Foods on the Center for Development website. CAN ONE JUST SOAK GRAINS, NUTS AND SEEDS INSTEAD OF COOKING THEM TO PRESERVE NUTRIENTS AND MAKE THEM EASIER TO DIGEST? Soaking any food makes that food even more yin. This is the big problem with soaking your foods before eating them, no matter what benefits it provides. For this reason, I do not recommend soaking foods, in general. An exception is soaking seeds overnight, if you wish, but it is not necessary. Soaking seeds destroys enzyme inhibitors that prevent the seeds from sprouting in dry areas. Getting rid of these chemicals is helpful. However, please do not eat many seeds, as they are all too yin. Soaking grains overnight does not break down the fiber enough, and leaves the food very yin, so I do not recommend it. Soaking nuts makes them a little easier to digest, perhaps, but also makes them even more yin, and thus less healthful.